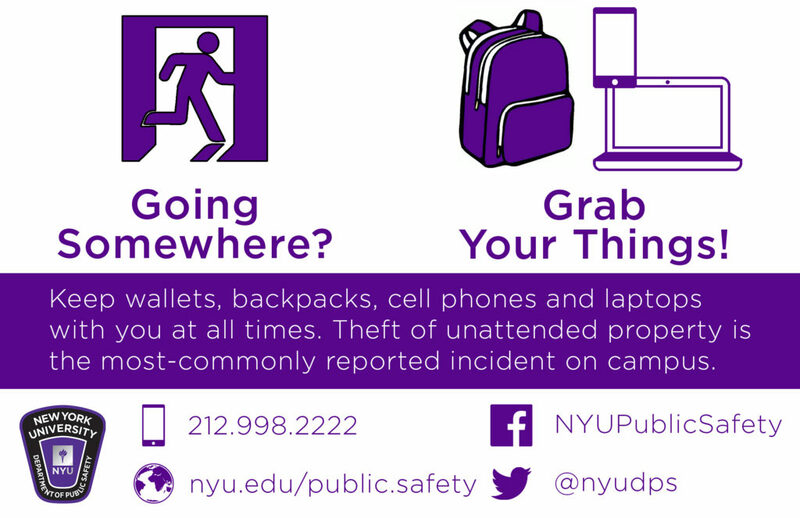 NYU Public Safety is working on a crime prevention campaign in Bobst Library and other high­-traffic NYU buildings this spring. To that end, they will be conducting an Operation ID registration event in the Bobst Atrium on Tuesday, March 7th from 12 p.m. to ­ 3:30 p.m. in conjunction with the NYPD. Operation ID is a program that encourages people to register their laptops, phones, and other devices with the NYPD. Students as well as staff can come to Bobst during that time and have their devices registered.